The G Flex 2 is a 64-bit octa core smartphone, equipped with a Qualcomm Snapdragon 810 clocked at 2.0GHz. It has a healthy 2GB DDR4 RAM storage with 16GB or 32GB internal storage. Phone storage is further expandable with a microSD card, up to 2TB. The G Flex 2 has a smaller screen than its predecessor, sized at 5.5 inches. The display features a 1080p resolution P-OLED display. The primary camera is specced at 13MP, while the front-facing camera has 2.1MP resolution. The phone will be powered by a 3000mAH battery which should provide satisfactory battery life on a full charge. Furthermore, LG has boasted of a 0-50% fast charge in a matter of 40 minutes on an appropriate charger. The display has 700mm curvature, with curves all over the various parts of the phone in order to make it easier for the user to hold. The curves have allowed for the microphone to be positioned closer to the user’s mouth at an appropriate angle. The G Flex 2 features a self-healing back that should accommodate the bending aspect of the phone quite well. LG has claimed the self-healing to complete over just a few seconds at room temperature. It has also been reported that the G Flex 2 has a display glass that is 20% more durable than the former G Flex model. The phone will be released running Android 5.0, guaranteeing that the 64-bit chipset will not go to waste. LG has announced that the phone will launch in South Korea later this month, and should hit the international market within the first quarter of the year. While a flexible phone is certainly original and interesting, the technology adapted will certainly cause a spike in the phone’s price tag. 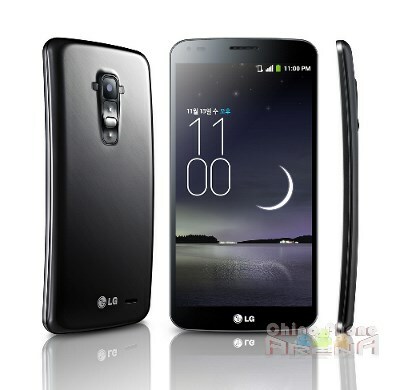 Some users will probably still prefer the similarly specced China brand phones that are more cost-efficient.